Modern day football is a harsh business. Today, promising players become brands, role models and items of public interest before they even made their first steps on the pitch as professional footballers. Take Youssoufa Moukoko as an example. In the meanwhile, everybody who’s bothered enough to browse through football-related news outlets like this one right here, should have come across this name. The 13 year-old is currently ripping apart the U17 Bundesliga with the youth side of Borussia Dortmund and is already dubbed the next big thing in world football. But hey, don’t forget about the likes of Martin Odegaard – players that have been given the same outrageous media attention and clearly harmful hype in the last years and who have struggled to reach what were believed to be able to do. What separates players like Odegaard from the five gentlemen, I’m going to introduce to you in a bit is the simple fact that the young Norwegian is still capable of changing his faith and eventually making it big in world football. I want to dedicate this shortlist to five players, that have already completely fucked up their careers and have meanwhile gone from hero to zero. His story could have been a football edition of the American Dream. 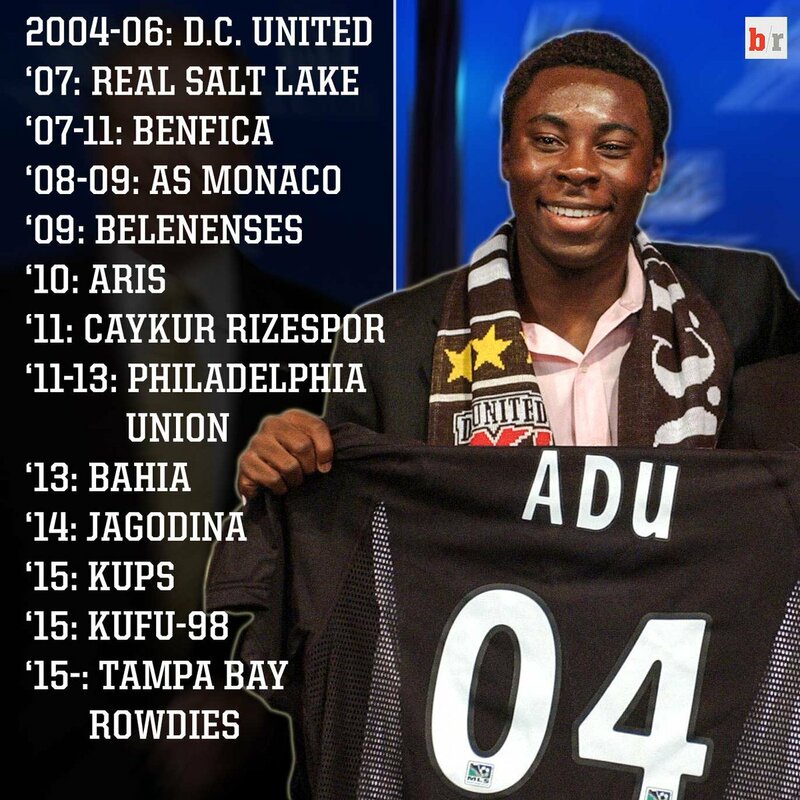 Aged 13, Adu was the youngest player to ever sign a professional contract with a MLS Team, when he joined D.C. United in 2004. Back then, he was dubbed the biggest hope for soccer in America. He was believed to be something like the American Pelé. Also Nike recognized that, signing a million-dollar deal with the young midfielder that was originally born in Ghana. At this time, Adu had many offers from European top teams including Manchester United, Inter Milano and PSV Eindhoven, which all have been turned down. In 2007 Adu finally made his move to Europe by joining the Portuguese giant Benfica Lisbon. He was never able to prevail, making only 11 appearances for Lisbon. After that, it all went down for Adu: Greece, Turkey, Poland and – as absolute rock bottom – the 4th Finish division have been his further destinations. Currently Adu is without a club and after 13 stopovers in the ugly depths of European and American club football, Adu’s career can only be described as an American Nightmare. The story of Savio Nsereko is so sad, it’s almost funny again. Being elected the best player of the 2008 U19 European Championship, the young German had a bright future ahead. That’s probably why West Ham United paid 11 Million Euros for him in 2009. Nsereko turned out to be a huge flop in England and hence had to leave. After a football journey through Bulgaria, Romania, Kazakhstan and the lower German divisions, Nsereko had long been off the radar of the average football fan. That changed instantly, when he made it back to the headlines in 2012. Having run out of money, Nsereko allegedly faked his own kidnapping in Thailand and was arrested for this. Lately, he tried to relaunch his career in the German 4th division. His contract got terminated before the first game with his new team. Ouch. 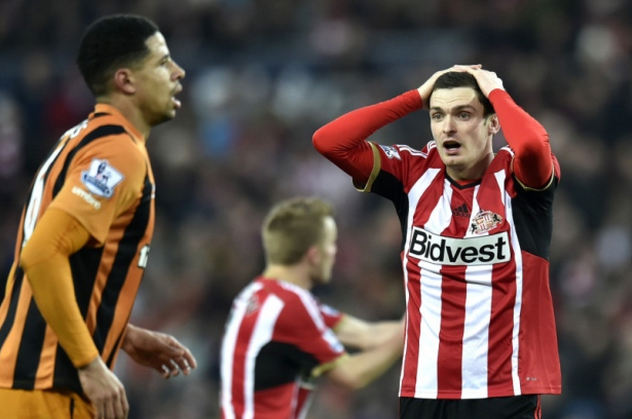 The story of Adam Johnson presents itself like a nightmare, too. After shining as a promising youth player and getting into the starting line-up of Manchester City after his move to the team he would later be winning the Premier League and the F.A. Cup with, and being on the doorstep of the English national team, his career crashed down almost instantly in 2016. Johnson, at this time playing for Sunderland, was accused and later found guilty of having had a sexual relationship with a 15 year old girl. This resulted in the Englishman being convicted to a six-year prison sentence and hence probably the end of his professional career. Another footballer who passed valuable time of his football career spending time in jail is Breno, the Brazilian defender who used to play for German giants Bayern Munich. He joined the Bavarians aged only 19 in 2008, after having already showed his potential in the Brazilian first division. After having had a solid start in Germany, his career began to get stuck a little, also due to injuries. After he played for Nuremberg on loan, he returned to Munich, where, again, he began to have vast integration problems in the club that had a lasting impact on his performances. In 2011, his rented mansion in Munich burned down, with him being slightly injured in the incident. Later, Breno got arrested and convicted for arson and had to serve three years in jail. Now, Breno’s back on the pitch and currently playing in the Brazilian first division again. The career that has taken the worst path of them all, is, in my opinion, the one of Brazilian striker Adriano, once rocking the European football with Inter Milano. Adriano won the golden boot in 2005, which along four Serie-A titles and one Confed Cup trophy can be said to be his greatest achievement. And these are fairly decent ones. Adriano was on top of the game for a few years. Anyhow, he wouldn’t be on this list if that hadn’t changed massively. After experiencing big troubles with alcohol and depressions, Adriano ended his career in Europe and went back to Brazil. But there things got even worse for him. The millions he’s earned during his time in Europe are gone today and Adriano reportedly lives in a favela of Rio de Janeiro now. Apparently, he’s even become a gang-member there, getting involved in violence and drugs, which pictures like the famous one of him posing with two machine guns that can be frequently seen on social media, seem to prove. Adrianos career must be the ultimate downfall of a footballer. Let’s hope he’ll be able to get back to a normal life one day. What do you think about the downfalls of these players? Did I miss someone you really wanted to see on this list? Let us know in the comment section below!